Board games are super fun, but they take up a lot of real estate when your collection reaches a certain size. Humble Bundle knows that we don’t all have space for a giant cabinet of amusements, so they’ve created a digital assemblage to entertain you and take up zero room (except in your Steam library, but that’s already overflowing, so a few new additions won’t hurt). 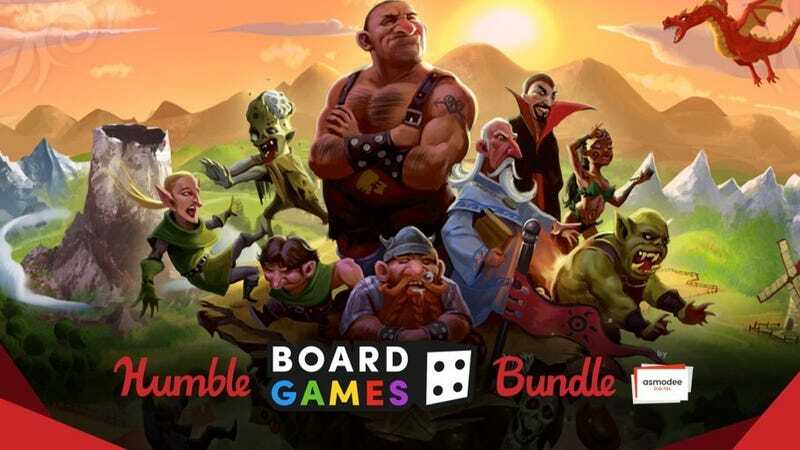 For $1, they’ll give you seven ports of games like Harald and Agricola for platforms ranging from Android to Mac. Pay $7 or more to unlock 11 more games, including Pandemic and Splendor. I’m not entirely sure about the logistics of having friends over for game night when you have to sit in front of a computer to play, but I’m sure there’s a way to make it work. The human spirit is predisposed to overcome all kinds of obstacles.